Administers a variety of contract types, including CPFF, CPIF, FFP, and time and materials in accordance with established company and government policies. Oversees, tracks and obtains disposition of government and customer property, in addition to directly providing regular input into proposals. Collaborates with buyers on complex contracts as the subcontracts liaison to ensure efforts are appropriately managed on a day to day basis. The following reflects management’s definition of essential functions for this job, however it is not an exhaustive list. Management may assign or reassign duties and responsibilities to this job at any time due to reasonable accommodation or other reasons. 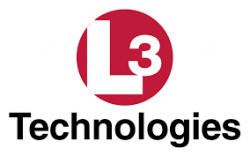 Negotiates terms and conditions, pricing, scope, schedule, milestones, and deliverables for a variety of contracts within the L3 Corporate guidelines. Tracks and informs internal and external customers of contract issues including performing to schedule and budget, achieving milestones, providing all agreed upon deliverables, and identifying and creating solutions for items which are out of scope. Works closely with Program Managers and attends Program Management Review meetings as required. Understands and manages the current status of each contract including customer, product, scope, areas of risk, and challenges. Responsible for contract close out which includes facilitating the preparation of final invoices, release documents, and customer property dispositions as well as managing records retention. Responsible for Contracts Department’s compliance with records retention requirements and established processes from documentation to coordination with offsite storage vendor. Responsible for proposal input relative to Contract Terms and Conditions, Data Rights, Representations and Certifications, and other contractual input in support of new and follow on business activities in response to customer RFPs and unsolicited proposals Attend proposal meetings, to ensure understanding of requirements, while coordinating and collaborating with Proposal Coordinator, engineering team, business development and Program Managers. Responsible for working with Proposal Coordinator for tracking and follow up on proposal status and providing post proposal submission support as needed. Works closely with purchasing as a subcontracts liaison for complex contracts leading efforts to structure details for SOW preparation of appropriate flow down terms and manage day to day interactions with the customer. Attend subcontractor meetings to track progress and ensure subcontractor is meeting deadlines, program costs, overruns, etc, as required, in support of customer requirements. Track and report on all government and/or customer owned property, ensuring knowledge of its current location at all times. Prepare letters to customer to disposition property, as needed. Serve as a contract/subcontract resource for customer and government property issues as they are raised. B.A. degree in business administration or other applicable discipline or equivalent experience. Master’s degree preferred. Training in contract management/administration and CPCM certification preferred. Minimum 10-14 years with BA, 8-12 with MBA hands on experience in contracts administration and proposal preparation. Extensive knowledge of, and the ability to understand and interpret, FAR’s/DFAR’s requirements and apply to contracts. Export product knowledge in dealing with overseas product and/or technical data on state of the art products. Ability to perform data mining and ad hoc reporting. Proven ability to build and maintain effective internal and external customer relationships. Knowledge of and the ability to interpret, International Traffic and Arms Regulations (ITAR). Able to work at a computer for extended periods of time. May be required to lift up to 10 pounds with assistance. Able to work extended hours when necessary.